Holiday time comes with lots of food traditions and gatherings. Here are 4 tricks to make it less stressful. 1- Shop for staples now. Do a big shopping trip and buy all the toilet paper, paper towels, dish soap, laundry soap, shampoo and other dry goods. Buy enough to get you through the first week of January. 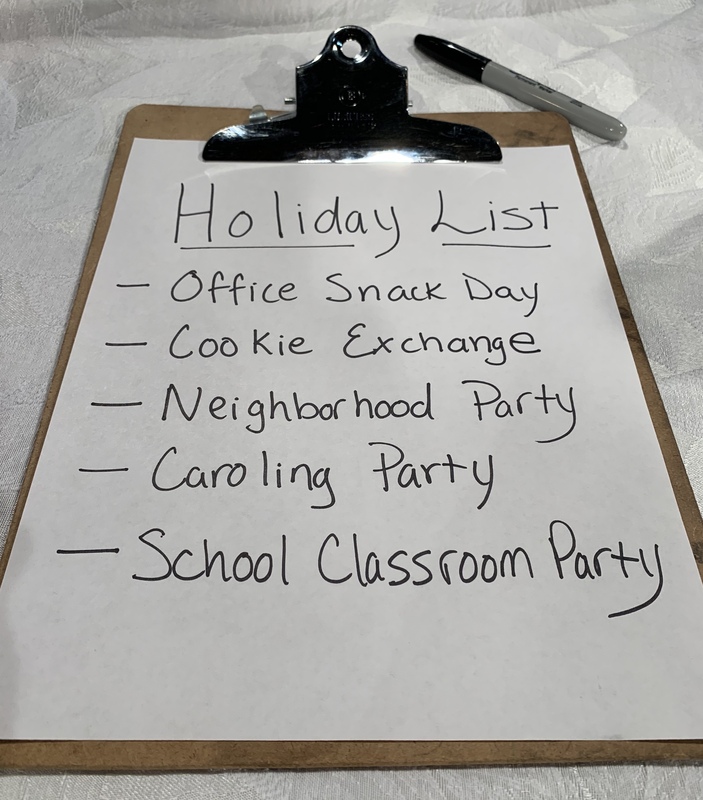 2- Make a list of all the gatherings you will be expected to bring food. 3- Pick one “Signature Dish” and bring it to all the gatherings. Choose the platters you need and buy enough ingredients to make the dish several times this season. 4- Save the time consuming cookies to make with your family and enjoy the time together. Use a simple drop cookie (like the chocolate chip cookie recipe in my cookbook) to take to gatherings. Make several batches of the dough and freeze. You can see a video to go with this podcast here. Join the Feed Your Family Tonight Facebook group for continued support.